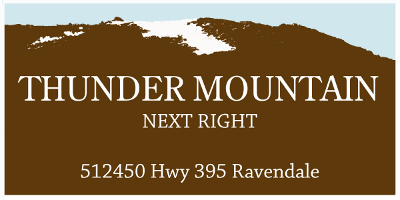 Thunder Mountain is well located for national and international travelers in Lassen County, California. 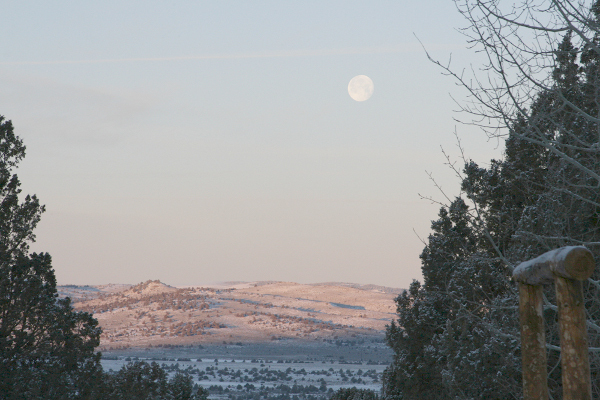 It is an easy 2 hour drive from the Reno, Nevada airport. It is a three hour drive from Mt. Shasta. It is about 5 1/2 hours from San Francisco and Oakland airports. Affordable shuttle service from Reno airport is available. Turn right at Co Rd A3/Standish Buntingville Rd. There will be a sign for Alturas right before the turn (8.5 mi)br/> At the end of the 8.5 mi there is a Shell Gas Station on your left in the town of Standish. Turn right at US-395 N (31.5 mi)br/> IMPORTANT NOTE: If the Shell station is on your right, you ended up driving through Susanville! Do not turn. Keep going straight on Hwy 395 for 31.5 mi. 5.5 miles before the entrance gate there is a rest stop. 2 miles before the entrance gate is a sign for the Ramhorn campground on the right. 1/4 mile before the entrance gate to Thunder Mountain you will see a sign on the right side of the road that says "Thunder Mountain Next Right". The entrance gate is only a few hundred feet after mile marker 102. 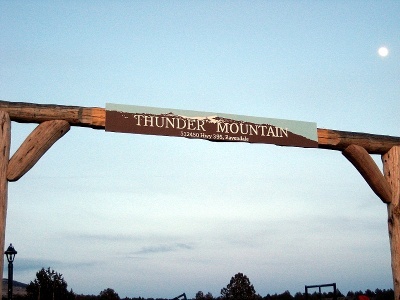 Turn right at Thunder Mountain entrance gate. If you see a house on the left you have gone a bit too far. The entrance gate has a sign over the entrance. If it is night, there will be lights on at the entrance gate. Turn right into driveway which is a mile long. The sign 1/4 mile from the entrance. Reno is the closest airport to Thunder Mountain. You can complete your journey either by rental car or shuttle both which take 2 hours. Estimated time: around 2 hours. Approximately 120 miles. You can complete your journey by rental car. Estimated time: around 4 1/2 hours. Approximately 230 miles. Estimated time: around 5 1/2 hours. Approximately 325 miles. Shuttle service by Bell Limo is available for the 2 hour drive from Reno to Thunder Mountain.